Welcome to Part 4 of my year-long series where through the year I will share with you each element of the monthly packs available to our Sweet Life Planner Club members! 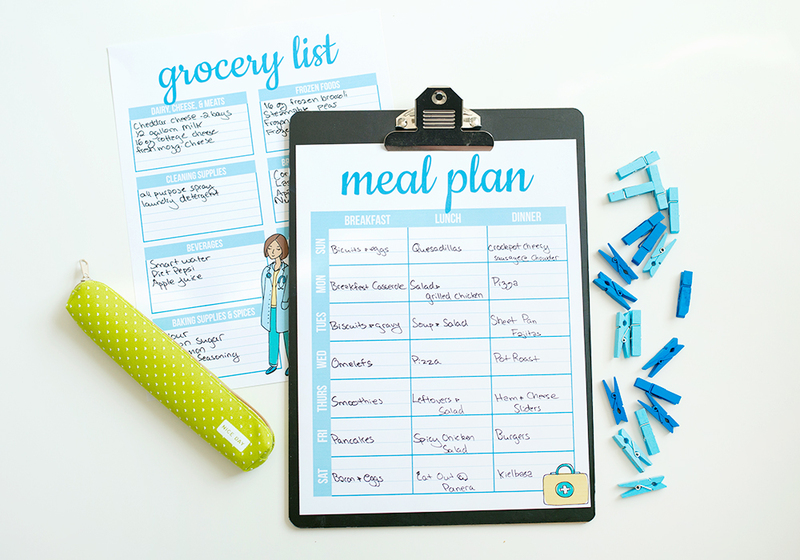 In conjunction with March Meal Planning Madness that we have going on now, I figured it was a good time to share all the juicy details about the meal planning page that comes in each monthly pack! If you’ve read any of our previous posts in this series, you know that the monthly pack comes in a different theme each month. 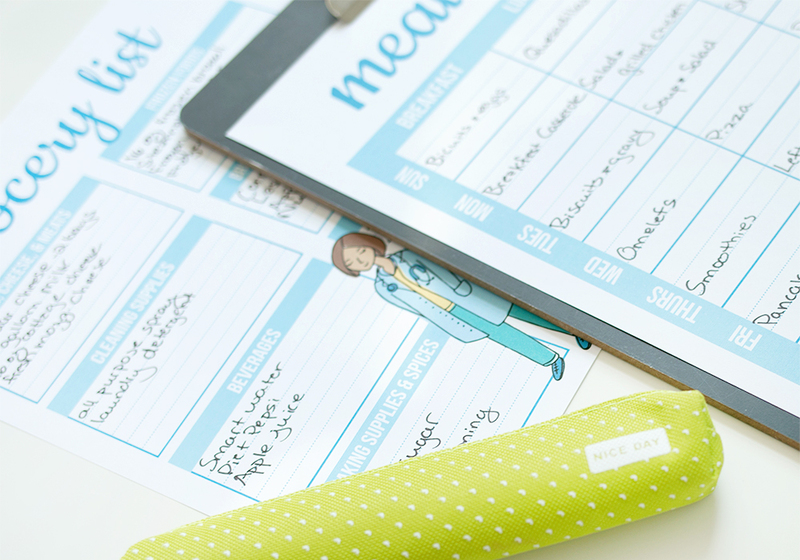 The great thing about the meal planning sheet is how versatile it is! If you find one design you LOVE, you can keep using it week after week because it has absolutely no dates on it. We kept the layout here simple. 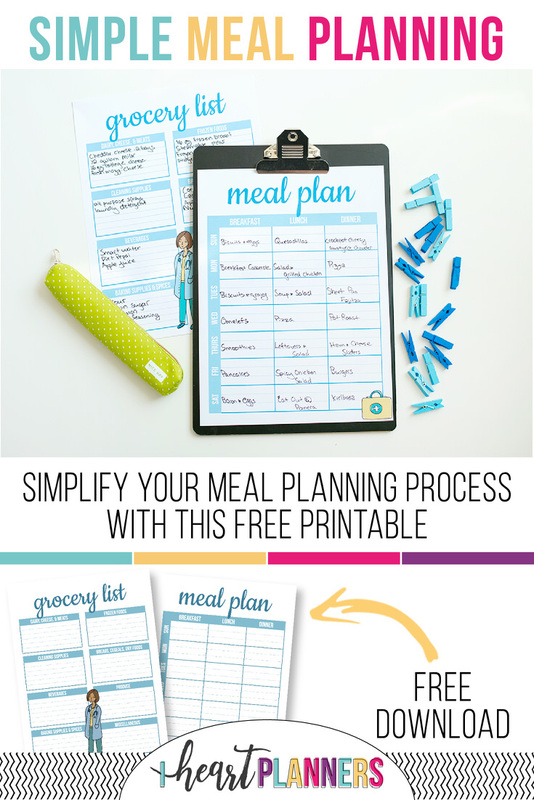 There sure is a time and place for the meal plans that have room to plan out 2 snacks a day, count the calories in each meal, and make sure that 5 out of 7 dinners are paleo while also kid friendly! Whew! Those pages are great but sometimes overwhelming. We went back to the basics with this sheet that gives you a pretty place to jot down what you’re having for breakfast, lunch, and dinner. I like to use my meal planning sheet when preparing to grocery shop. I tend to scroll through Pinterest till I find some meals that catch my eye. Then I can plan out when I’m having which meal (and the leftovers!). This helps me buy the right amount of food. I find myself not buying enough food for meals while also getting too many extras that end up going to waste if I don’t have a game plan for what I’m going to eat each day. Enjoy cooking up some deliciousness!